The NZMSC will meet on Wednesday, 19 April at Victoria University of Wellington. 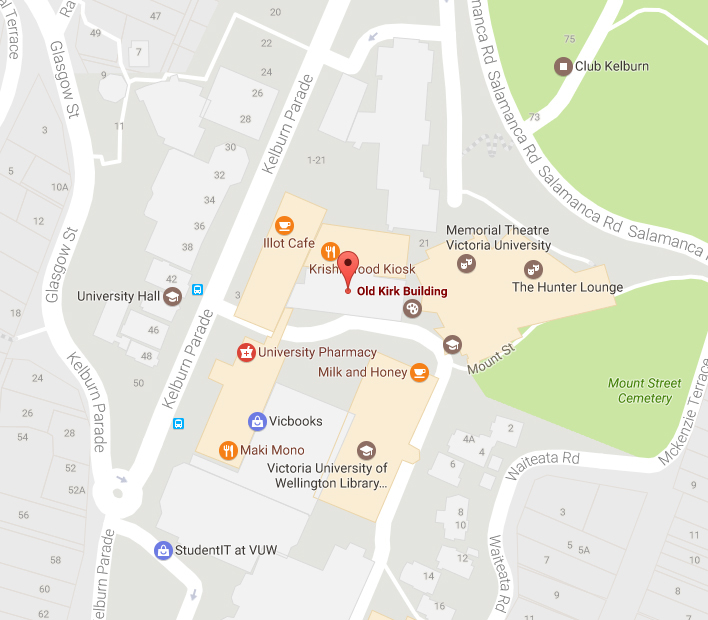 The meeting is being held in Old Kirk 319 (see the map below). We have time for one more paper, so if you are interested in please contact raymond.spiteri@vuw.ac.nz. Papers will be circulated among the seminar participants in the week before the Easter break. If you are planning to attend, please complete the event registration form.